Ski resorts in Japan each year attract thousands of tourists, and the most popular resort, built on the European model, is the resort of Niseko , located near the city of Sapporo, Hokkaido region .Niseko is a modern ski resort, designed for relaxation of foreign tourists and providing a developed infrastructure for an unforgettable leisure and high level of service. Here you will find beautiful trails, the highest point of which is located at an altitude of 1156 m. Above the sea level.Snow in Niseko extremely soft and lightweight, ideal for professional skating, as well as for the development of the first skills. If you like high-quality ski vacation, pure nature and good food – order the tour with a relaxing stay in Niseko and get ready for the fact that this trend will become your favorite out of all the possible tourist destinations. The degree of Niseko’s popularity among tourists from different countries define very simple – just note that the planes in the direction of the item, flying at an interval of 15 minutes, and on all flights fully booked. 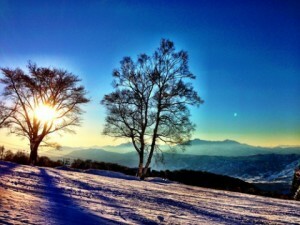 What is so attractive ski resort Niseko? 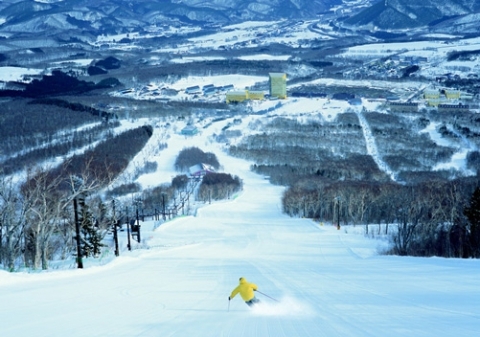 Niseko Resort is located at a distance of not more than one hundred kilometers from Sapporo – city, which became world famous after the Olympic Games held here. Sapporo belongs to one of the most beautiful areas of the country – the Hokkaido region. Here the majestic mountain scenery are combined with dense forests, nature is pure, benevolent weather and wildlife strikes its diversity. The resort is located at the foot of Mount Yotei, which is in force. 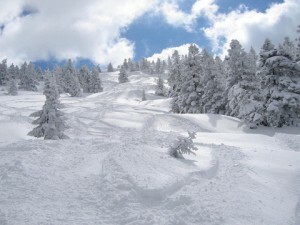 To get to the Niseko resort of Sapporo can be no more than three hours. The ideal time to relax at the resort – from December to March inclusive. Snow brought on the mountain slopes in the resort area of Niseko mainly cyclonic fronts from Siberia. Snow in Niseko is one of the best in the world – it is soft and shiny, a real dream come true for the keen skier. During the winter on the slopes of falls of up to 15 meters of rain, the snow here is from December and ending with the end of February. The slopes are very well developed, and the quality of the ski Niseko trails among the top ten resorts in the world, as the estimated travel agencies, and for a review skiers. The resort offers visitors 34 runs of varying degrees of complexity, from simple ones for kids and beginners, to high-speed and slozhnoprohodimyh for fans of extreme sports. On the slopes are more than twenty ski lifts, brand new and made ​​with the latest technology. 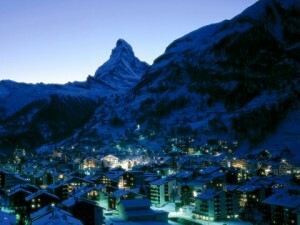 In the resort there is night skiing service have training school for a different level of initial training. The resort infrastructure is well developed and meets the most demanding requirements. Local hotels are highly appreciated by international experts and are suitable for both holidays with friends and family-friendly. All the signs on the slopes have options names in English, hotel staff also prepared to communicate with foreign tourists, in addition to local restaurants even have special waiters speaking in English, foreigners who serve tables. Compared to other regions of the country, service to Niseko is virtually identical to European and tourists from all over the country will feel comfortable here. There are a variety of accommodation options – from traditional Japanese hotels to ultra-modern European obraztsa.Osoboy highlight of the resort is the availability of good SPA- shops in major hotels. One of the benefits of recreation resort Niseko is an excellent kitchen. Fans of traditional Japanese cuisine will find here a rich choice of dishes, and the adherents of European cuisine can easily pick up the menu for yourself, as the majority of the resort’s restaurants offers a combined menu that includes both national dishes and more versatile food. The cost of meals you will be pleasantly surprised – food prices are quite reasonable. Resort Niseko good that anyone can pick up here on vacation taste. The resort consists of three zones, or three mini-resorts, this is Higashiyama, Hirafu and Annapuri . If the first two resorts characterized by tranquility and ideal for family holidays, the last – Hirafu – considered one of the leading “rave” places in the country. Here you will find an abundance of nightlife and modern discos. In addition to a ski holiday, the resort offers the opportunity to fish and enjoy the stunning scenery and watch the wildlife. Here you can easily find a fox and a seal feed from your hand. 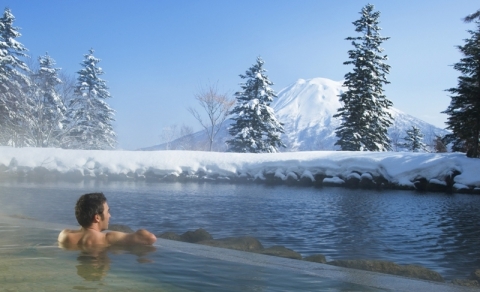 A particular advantage of the resort Niseko is the presence of hot springs here. There is nothing better for a rest after an active day on the slopes than relaxing healing bath. 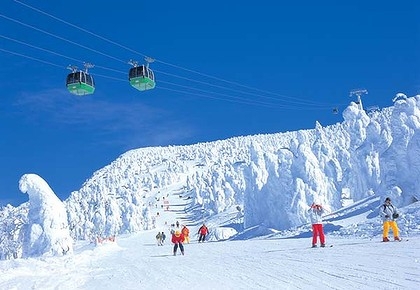 Japan is rich in ski resorts – a total of more than two hundred and fifty. 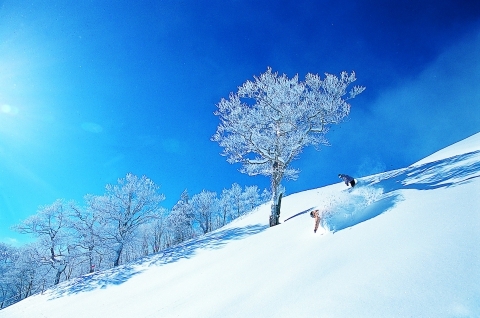 In addition to Niseko in Hokkaido region, the resort, which has international status, are of great interest and skiing resorts in other parts of the country. 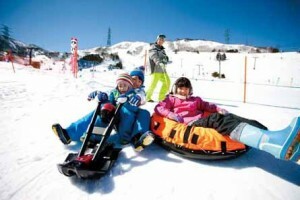 Naeba Resort – located on the island of Honshu. It is very easy to reach from the capital – Tokyo.The highest point on the slopes this resort is 1789 meter. A distinctive feature, which is famous for this resort – the possibility for foreign tourists relax in a traditional Japanese bath. The water in the baths is not easy, and thermal, which makes the addition of a relaxing holiday and get the recovery rate. 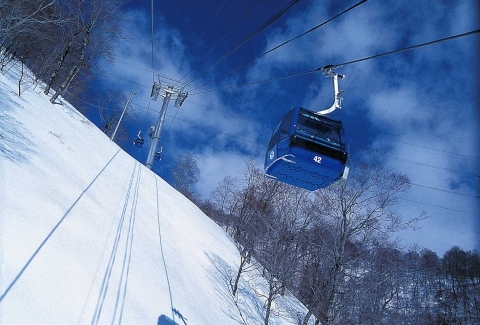 Hakuba Resort – located close to Naeba, and has the highest point in the ascent of 1800 meters.Famous for the fact that here the ideal conditions for downhill skiing, and it is this ski resort preferred by lovers of giant slalom. Asarigava Resort – Located near the city of Otaru. The highest lift point is located at an altitude of 3000 meters. The resort is famous for the amazing mountain scenery and the opportunity to swim in the outdoor pools with thermal water. 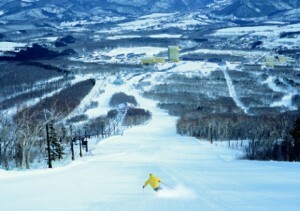 Rusutsu Resort – located in the Hokkaido region. This ski resort is distinguished by its beautiful views, because all the land, the surrounding hills are the territory of the reserve. There are wonderful conditions for skiing and a good five-star hotel, which is able to accommodate up to four thousand tourists.